On the seventh anniversary of the founding of inges idee, a 1-month-long exhibition was staged in the Orangerie of the Körnerpark. The Orangerie’s exhibition room is extremely long and narrow, with a broad front of windows facing the park. 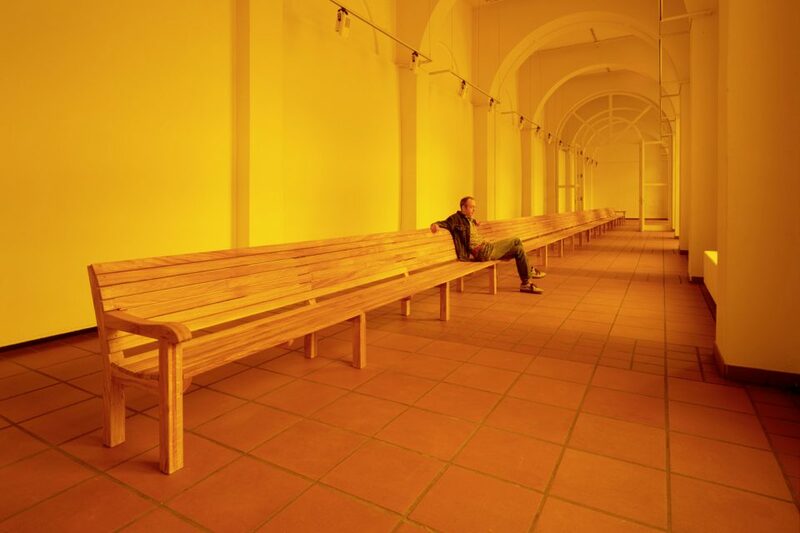 A 30-meter-long oak bench is shown; it extends almost the entire length of the Orangerie. A colored film is applied to the windows to the park, bathing the exhibition room in an orange light. 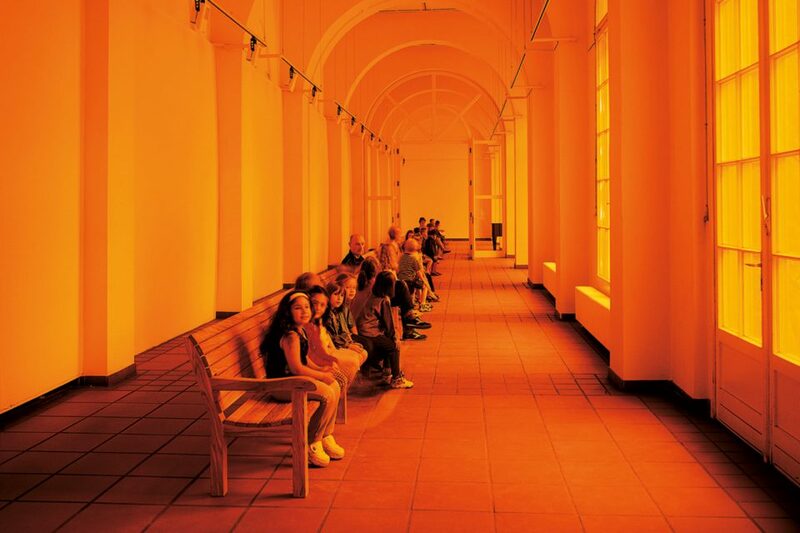 The extreme length of the bench and the orange light (sunglasses effect) radically change the perception and atmosphere of the Orangerie.